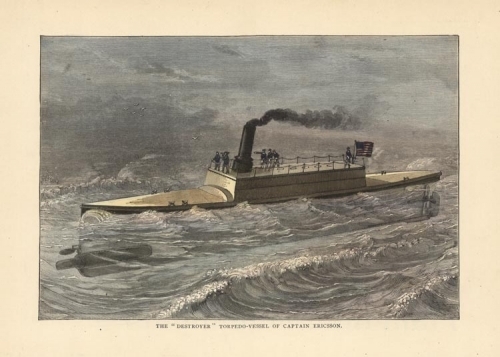 THE "DESTROYER" TORPEDO-VESSEL OF CAPTAIN ERICSSON. Publisher : Published by Cassell & Company Limited: London, Paris, New York, Melbourne. From "The youth's history of the United States, Volume 3" by Edward Sylvester Ellis. Published 1887.